Ashton Gate Stadium will host Tuesday’s football game between Bristol City and Queens Park Rangers. Bristol City are eyeing their seventh consecutive win in the Championship and we predict that they are going to stick to their attacking style of play. 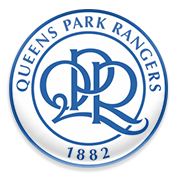 The Robins aim to retain their spot in top six and seeing that Queens Park Rangers suffered a dip in form, we predict that the hosts are going to emerge triumphant in the midweek fixture. The capital club, on the other hand, have been struggling at the back of late, with the team suffering a 4-3 loss to Birmingham City in front of home fans in their last league fixture. The Hoops are eager to move a little closer to the play-offs berth, but seeing that Bristol City are on top of their game at the moment, we predict that the visitors are going to return to London empty-handed. After spending his youth career at Norwich City, Korey Smith made his first-team debut for the Canaries in January 2008 in the FA Cup clash against Charlton Athletic. Smith played 67 league games for Norwich City and he scored 4 goals for the club, but in 2013 he signed a two-year deal with Oldham Athletic. The midfielder who was born on 31 January, 1991, scored one goal in 42 appearances for the club in the 2013/2014 campaign and on 27 June, 2014, he joined Bristol City for an undisclosed fee. It has to be noted that he won Johnstone’s Paint Trophy with the Robins in his first season with the team. Korey Smith was born in Hatfield, England and he has two younger sisters, Alice and Harriet. Smith is a defensive midfielder, but he is capable of operating as central midfielder and right back as well. The Bristol City footballer also represented the likes of Barnsley and Yeovil Town (on loan) in the past.